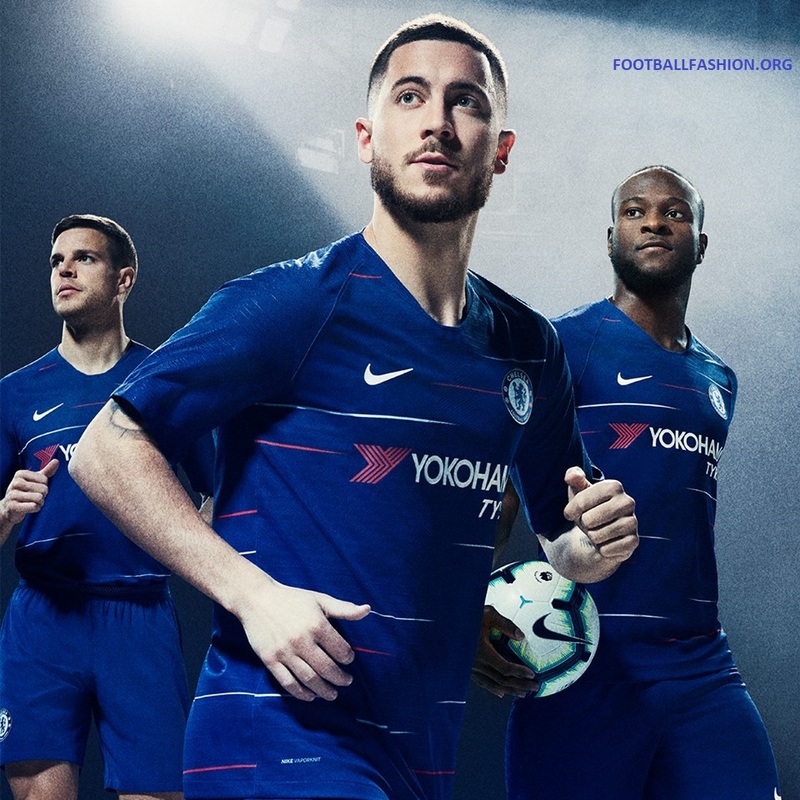 Chelsea Football Club dropped their home kit for their 2018/19 English Premier League, European, FA Cup and EFL Cup campaigns. 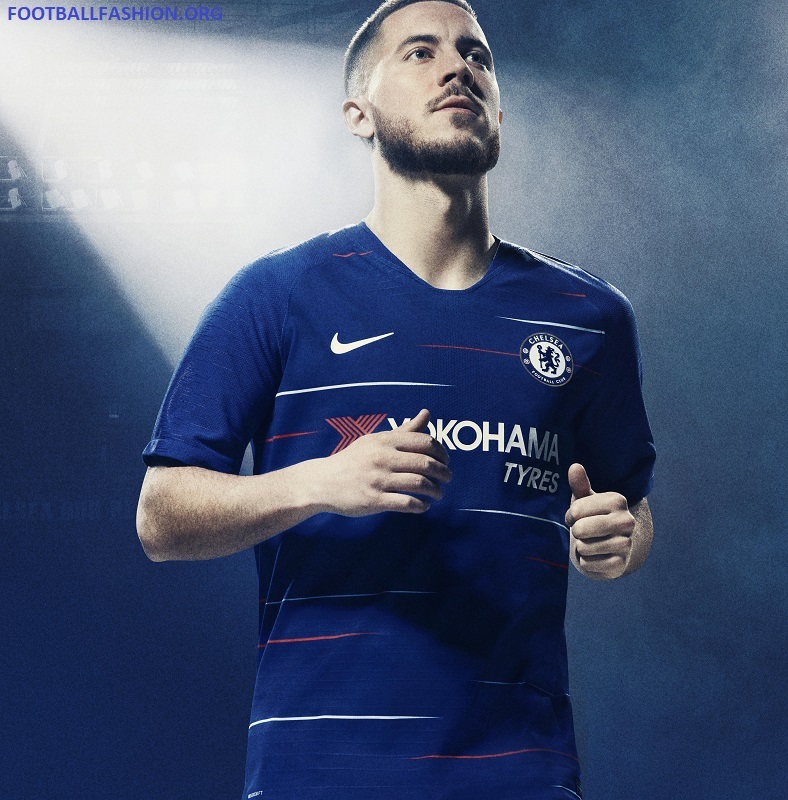 Furnished by Blues’ technical partner Nike, the new jersey will be on sale at World Soccer Shop, Kitbag, Subside Sports, Lovell Soccer, Pro:Direct Soccer and UK Soccer Shop. 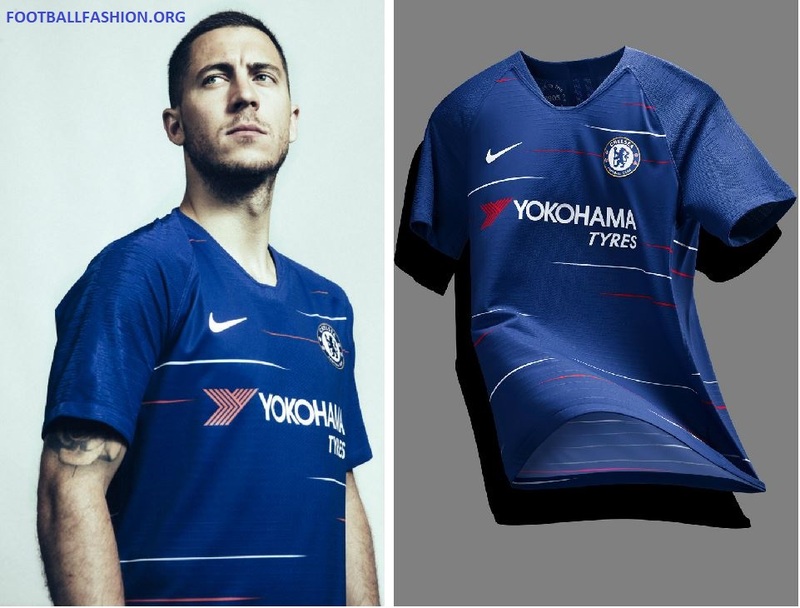 Chelsea FC’s 2018/19 home kit, to be worn by the men’s, women’s and academy teams, takes inspiration from the team’s much-loved jerseys of the 1980s and 90s. 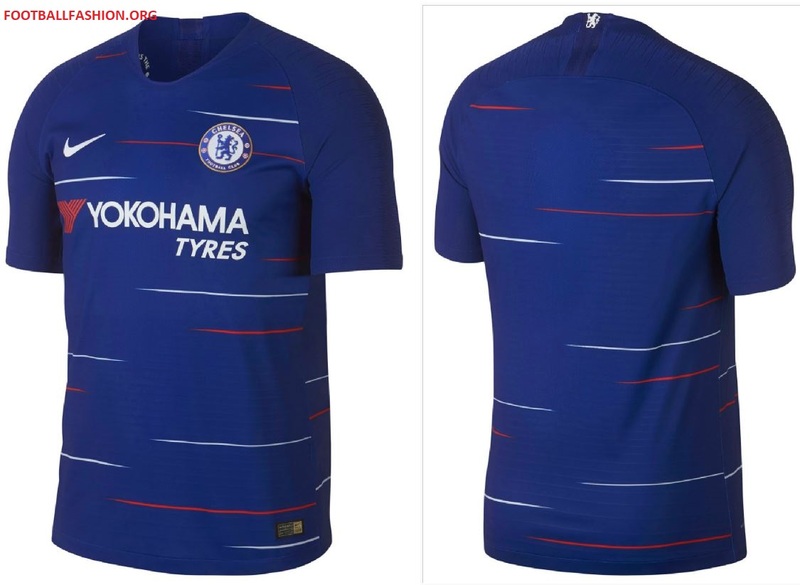 Those strips featured pops of red against Chelsea’s famous blue, and these return on the new shirt in the form of dazzling horizontal red and white lines. Blue shorts and white socks, brightened by a horizontal red and blue trim at the knee, complete the kit. 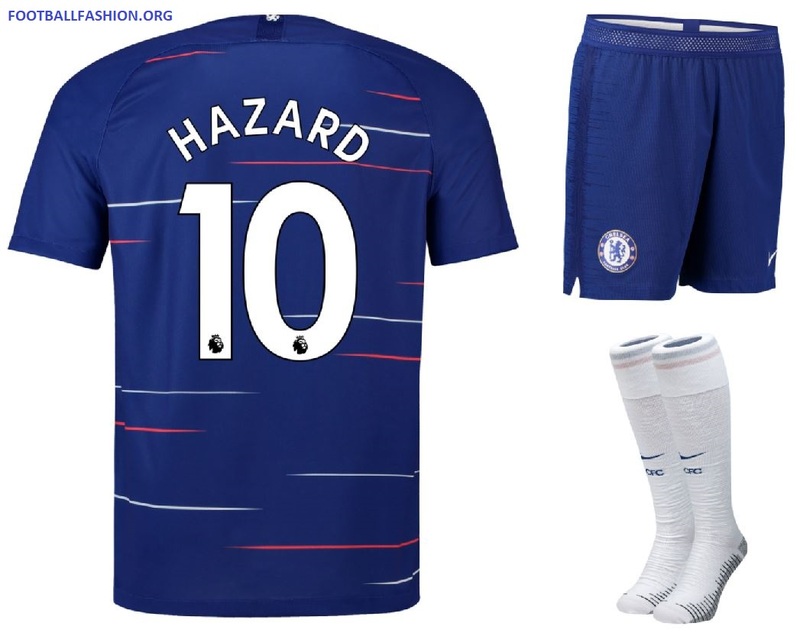 Chelsea will debut their 18/19 home uniform when they meet Newcastle United at St. James’ Park on Sunday in the last Premier League match of the ongoing season. A win could earn the club a spot in next season’s UEFA Champions League. Crystal Palace Sign with PUMA. Unveil 2018/19 Kits.